The City is excited to announce the construction of the Vista Ridge Trail project. 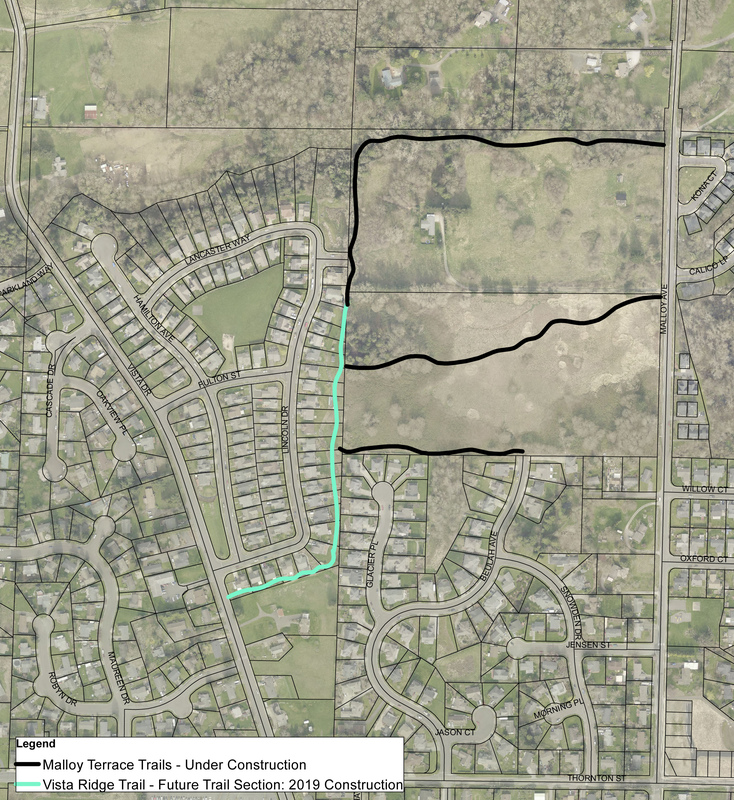 Currently slated for the Spring/Summer of 2019, these trails will connect Vista Drive with the one mile of trails currently constructed as part of the Malloy Terrace development. The City will be responsible for the construction of the trail, which will be a paved surface eight feet wide and one mile long. The City anticipates scheduling a public meeting to discuss the project and the timing of survey and trail construction timeline later this year. For more information, please contact Public Works/ Parks Director Kevin Renz for more information at (360) 685-2376 or email him by clicking here.